Originally posted by Politically Georgia and The Atlanta Journal-Constitution, November 28th, 2018. When Georgians who don’t speak English well go to vote in runoff elections Tuesday, state law limits their ability to bring an interpreter. A federal lawsuit asks a judge to intervene, allowing voters with limited English proficiency to use an interpreter of their choice to help them understand their ballots. 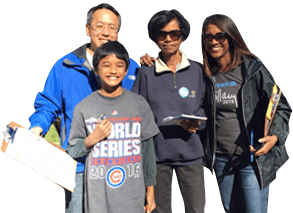 Registered voters have a right to get help when casting a ballot, said Stephanie Cho, executive director for Asian Americans Advancing Justice-Atlanta, the civil rights organization that filed the lawsuit. State law restricting who can be an interpreter discourages voters from participating in democracy, she said. The lawsuit seeks court action before the Tuesday runoffs for Georgia secretary of state and Public Service Commission. 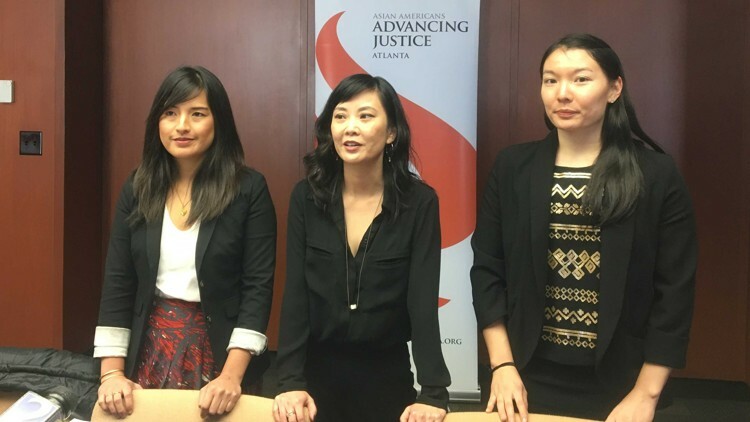 More than 500,000 Georgians identify themselves as having limited English proficiency, and most of them are Asian American or Latino, according to Asian Americans Advancing Justice-Atlanta. Voters are allowed to bring anyone as their interpreter in elections with a federal candidate on the ballot, as long as the interpreter isn’t their employer or an official from their union. That was the case in the Nov. 6 general election, when voters decided on candidates for U.S. Congress as well as for Georgia governor and other statewide races. But Georgia laws on interpreters are more restrictive in elections in which there are only state candidates on the ballot, such as the upcoming runoff. Voters in state elections may only use an interpreter if they’re a close family member, caretaker or voter registered in the same precinct. A spokeswoman for Georgia Secretary of State Robyn Crittenden, who is named as the defendant in the lawsuit, referred questions to the Georgia Attorney General’s Office, which represents the state government in legal matters. A spokeswoman for the Attorney General’s Office declined to comment Wednesday. About 38 percent of Latinos and 44 percent of Asian Americans speak English less than “very well,” according to the U.S. Census American Community Survey. Nonprofit groups won’t be able to provide interpreters in many cases unless a judge steps in, said Gigi Pedraza, executive director for the Latino Community Fund Georgia, an organization that promotes civic engagement, entrepreneurship and women’s empowerment. State Rep. Brenda Lopez Romero, an immigration attorney, said voters should be able to get help exercising their fundamental rights if they need it.